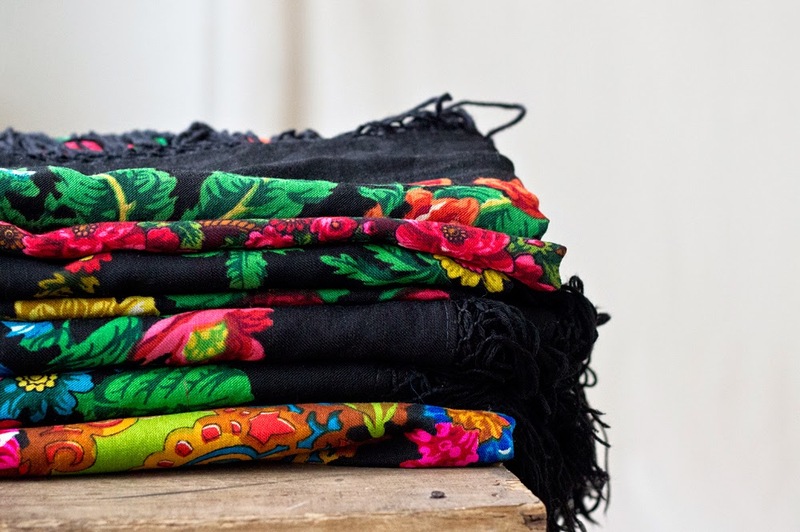 Russian shawls look amazing when piled like that! I am almost ready to have them on permanent display. Actually, I have been toying with the idea of hanging some shawls on the wall, to add colour to my place. I might do it, if I find a suitable one. I would need one in the colours of fall for my living room, and something taupe and blue for the bedroom.